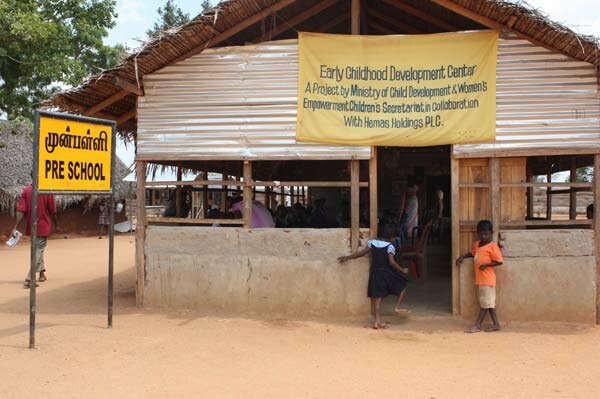 A facility to accommodate unaccompanied children set up by SOS Children's Villages at Menik Farm IDP camp. Displaced children do their homework at a facility to accommodate unaccompanied children set up by SOS Children's Villages at Menik Farm IDP camp. 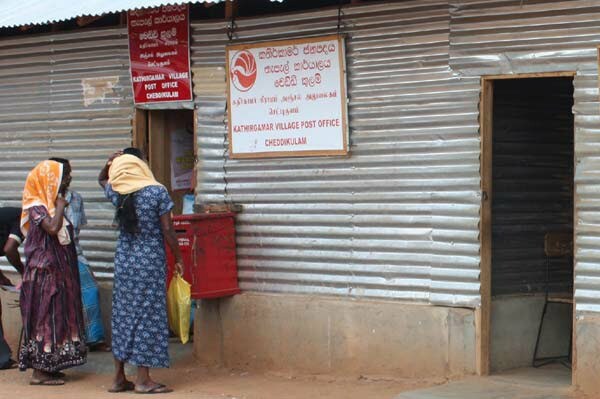 A temporary branch of the Kathiroamar post office at the Menik Farm IDP camp. Children pose for a photo outside a UNICEF funded school inside the Menik Farm IDP camp. 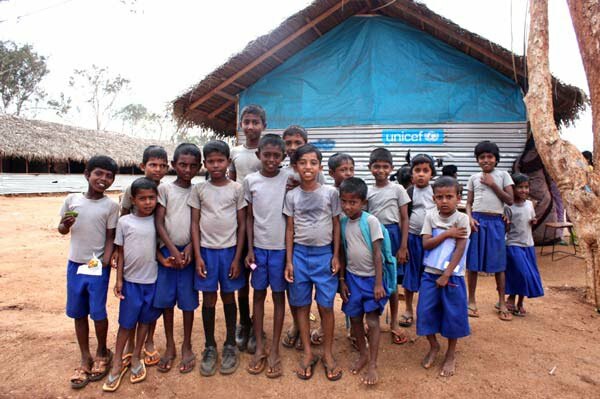 Inside a UNICEF funded school at the Menik Farm IDP camp, Cheddikulam, Vavuniya. 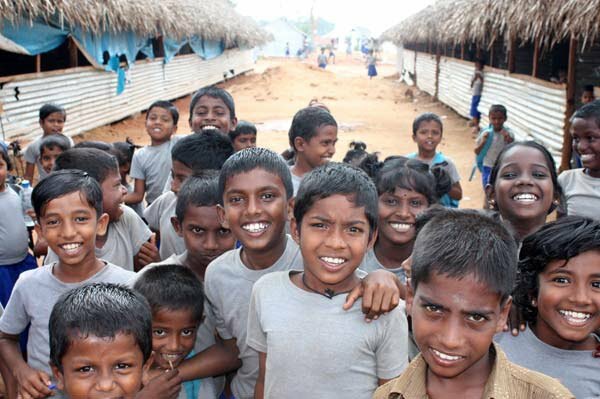 Children pose for a photograph at a UNICEF funded school, Menik Farm IDP camp, Vavuniya. She is ready to go home. Displaced civilians prepare to leave Menik Farm. UNHCR confirms rapid resettlement in recent days. 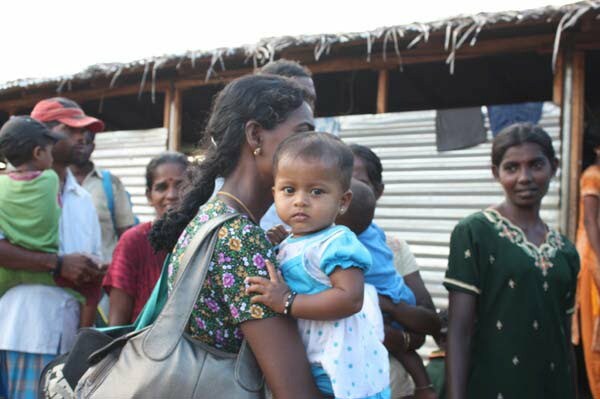 Up to 3000 civilians per day, and a total of 90,000 have been resettled in their former villages. 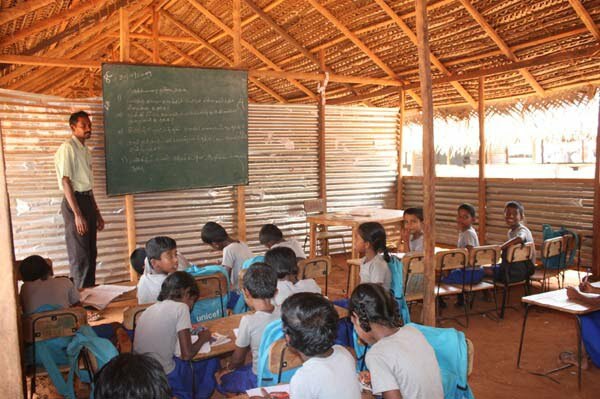 A pre-school at the Arunachalam IDP camp. 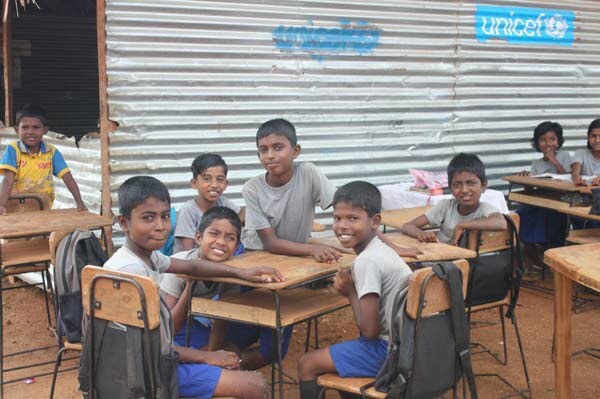 Funded by Hemas Holdings and operated by Sri Lanka's Ministry of Child Development and Women's Empowerment. 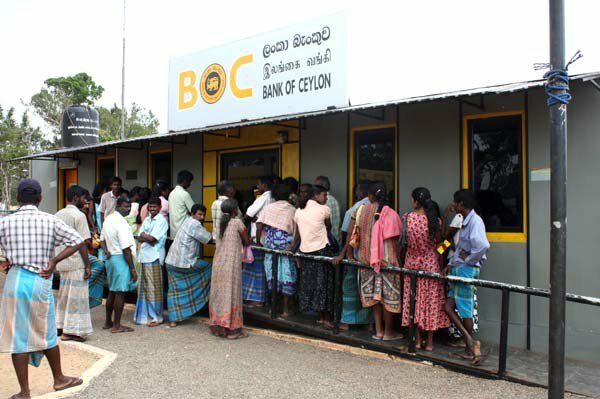 A temporary Bank of Ceylon branch inside Kadirgamara IDP camp. Children gather to greet the camera with a smile at the Menik Farm IDP camp. 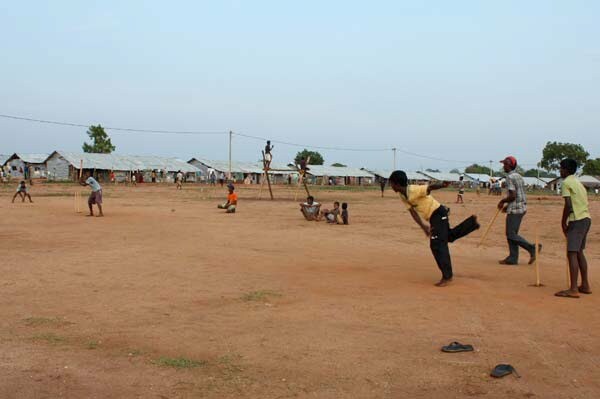 Youth play a game of cricket at the Kadirgamar IDP camp, Cheddikulam.